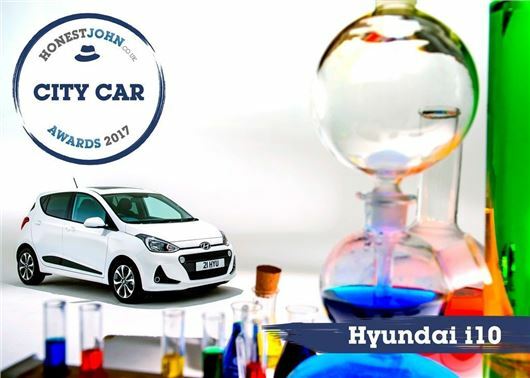 The Hyundai i10 has won the Most Popular City Car category at the Honest John Awards 2017. It’s the fourth time the i10 has taken the prestigious title, with the i10 review getting more reader visits that any other car in its class over the past 12 months. ﻿“The Hyundai i10 has taken the most popular City Car Award for the fourth year in succession, which is an amazing achievement given the high level of the competition,” said Dan Powell, Managing Editor of HonestJohn.co.uk. “Over the past 12 months the i10 has generated more interest with our readers than any other car in its class, which isn't surprising when you consider its stylish design, frugal fuel economy and five-year comprehensive warranty." My wife has had her i10 for 3 years and has been so pleased with it that she has decided to upgrade to a new or almost new i10. Going to have a change of colour as there are an awful lot of white ones!